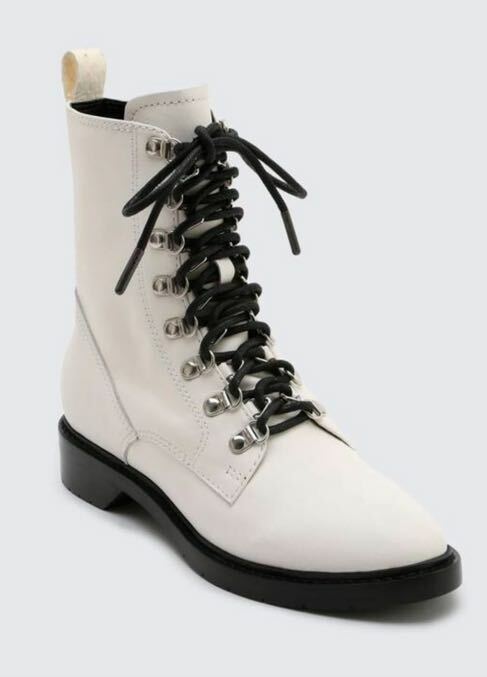 Lace up combat boot with pointed toe and thin panel of snake-embossed leather along the back. Finished with silver hardware and an exposed zipper, black sole, and black laces. NEVER BEEN WORN!! !